On Friday I bought a new book. Now I like books as anyone who has ever been to our house (or seen some of my Facebook photos) will know. We have books in the sitting room, books on the landing, books in the bedroom and a whole office full of books in the room where normal people would have put the master bedroom (well, it's bigger!). However I don't usually have to work quite as hard to buy a book as I did for this one yesterday. The book I really, really wanted! I found a copy of this book - Royston and District in the Great War 1914 - 1919 but didn't have time to do more than flick through it. I thought they might have a copy at my local library or at least in the central Barnsley Library that I could borrow but to my surprise there is only one copy on the library catalogue and that's the one in the Archives. 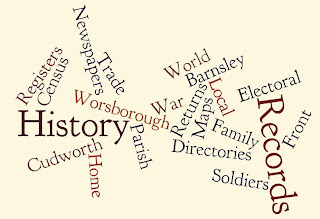 Searching online I found that the Royston History Group meet on alternate Fridays at Royston Library, so I phoned up to find out when the next meeting would be. I'd just missed one so I had to wait a fortnight to call in to see the Group. I did try the email address that was online but unfortunately got no reply. Now again some of you might know that I am a little bit dodgy health-wise these days ... I get tired rather easily and when I do too much (get carried away with having fun for example like last weekend) I usually have to spend one or more days in bed recovering. Going to Royston from Cudworth was, for me, a great expedition. I would have to go by myself, no OH to lean on when I got tired; it was going to be four (yes four!!) bus rides to get there and back and although I didn't realise it from the Google map there was quite a sharp hill to walk up when I got off the bus. Two weeks passed, I made an even more cunning plan - I arranged to meet a friend at Royston, as the History Group were having a Photo Exhibition which I thought he might be interested in, and he offered me a lift home in his car. Brill! Only two buses and that hill to deal with! Ha! Too clever for my own good, that's me! It was raining on Friday morning, not heavily, that 'damp sort of rain that soaks you through' as Peter Kay used to say. I caught the 31 bus in Cudworth, changed in Monk Bretton for the 57 (only a five to ten minute wait in the rain with no bus shelter and nothing to lean or sit on) got off the second bus in Royston and faced that hill again. I knew the shortcut through the trees and the shrubbery to the front of the library this time (instead of going all the way around to the signposted car entrance which is about 50 yards out of the way there and back) and I successfully made my way up to the meeting room (hey, even the lift was working this week - I forgot to mention, it was out of order the last time and I had to use the stairs). 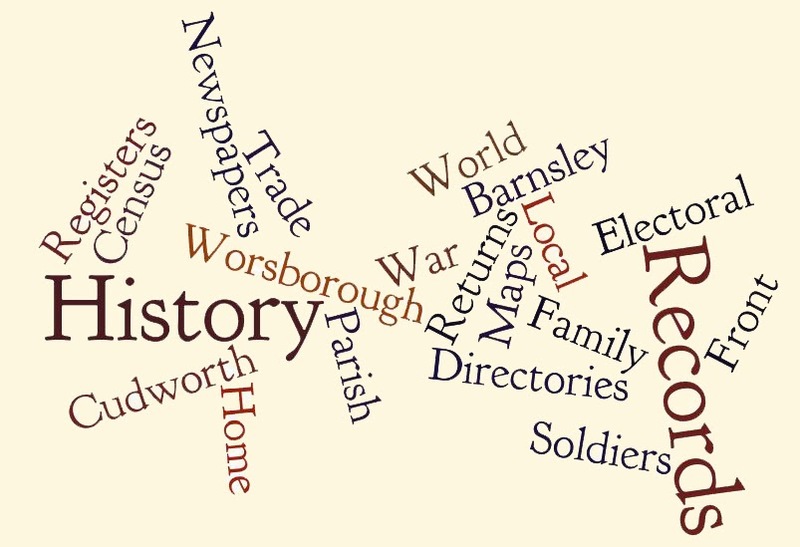 I was shown to the lady with the books - Royston History Group actually have a very impressive back catalogue of books, why do I never see them on the stall on Barnsley Market? She got out a copy of the Great War book, I got out my purse and offered her my precious £5 (again - if you have read many of my posts you will know I'm absolutely skint, and dependent on the OH and my mum for spending money). She was quite embarrassed to tell me that the price was actually £10 - the people the previous fortnight had got it wrong. So close ... and I still really wanted that book, I put so much effort into it now that I wasn't going to give up! I apologised for the misunderstanding and asked where the nearest cash point machine was (I only had another £3 in change in my purse, making a total of £8 - and she didn't seem like the sort of lady who would haggle!). It seemed I would have to walk back down the hill to the Post Office. Oh no, my heart sank. But I still wasn't going to give up! Hat, scarf and gloves back on, and out into the rain again. 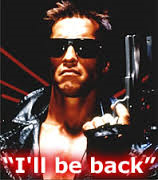 I left a message that if a big chap came looking for me to tell him I'd be back! Through the trees, down the hill, cross two roads ... cash machine, drat someone just beat me to it ... wait a minute or two ... get the £10, back over two roads (Why do some pedestrian crossings let every road go and then the pedestrians even with those clever camera things?) Up the hill, still raining, through the trees, through the shrubbery, over the muddy bit and into the library. Up the stairs - you couldn't make this up, there was a man servicing the flipping lift this time!! One of the ladies asked me if I was alright - I nearly burst into tears - my knees hurt, my ankles ached, I was so, so tired and I was wet. But I bought the book. And my friend turned up a few minutes later, we had a nice chat until I had recovered and then he brought me home. It was OK in the end. 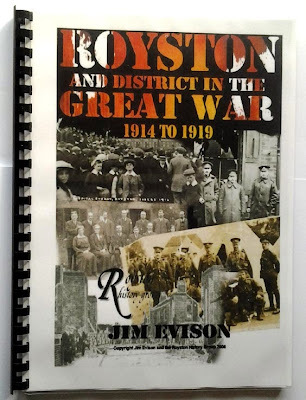 I've only read the first chapter so far - but it's a very thoroughly researched account of Royston's experiences during the war years based on newspapers, school log books, the parish magazine and even a few precious family letters and photographs. It's a good book - worth £10? Yes! Worth the pain in my knees? Probably, although ask me again tomorrow as they still hurt today! What a great little tale - perseverance paid off in the end. I am originally from Royston myself & once worked at Roberts Carpet Fitters in Cudworth 40 years ago.